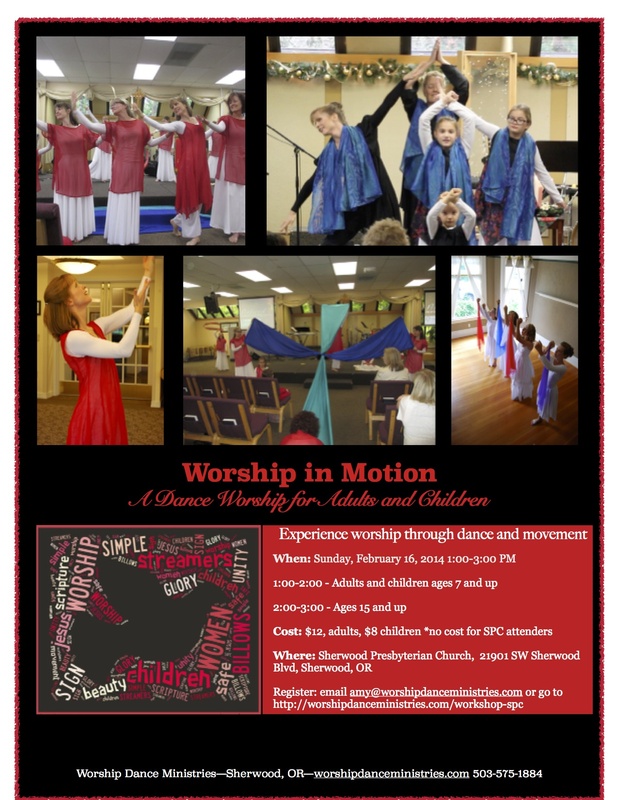 Cost: $12 adults, $8 children, complimentary to SPC members and attenders. 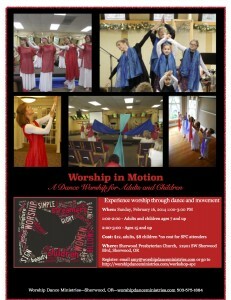 This will be a safe place to experiment with putting your worship in motion. Learn how to use sign language, color and props to express devotion to Jesus and to tell God’s stories. See and put in motion the worship contained in the scriptures. Experiment with billow cloths and enjoy group movement exercises. Whether you want to learn to worship the Lord in private or have a desire to lead the congregation as a worship dancer, you will go home equipped with new vocabulary, biblical understanding, and tools for worship.